Shift your inner state to one of deep relaxation, peace and equilibrium through sound, vibration and yin yoga asana. An accessible series of Yin Yoga asana will be synchronized to the serene sounds and deep therapeutic vibrations of Ancient Tibetan Singing Bowls. Vibrational sound therapy (also known as sound healing) is an extremely powerful and non-intrusive method to release stress and reduce physical pain and tension. The deep vibrations and healing energy of the Ancient Tibetan Singing Bowls will deepen and enhance the effects of the yoga asana. ** It is essential that you bring a yoga mat and two large towels (e.g. beach towel or large bath towels) to this workshop. It is also nice to cover your eyes at appropriate times during the workshop. If you have an eye pillow bring it along, otherwise a small face towel, handkerchief or clean sock will do the trick! The venue can be tricky to find as it comes up incorrectly on Google Maps. Please refer to this map for the accurate location. 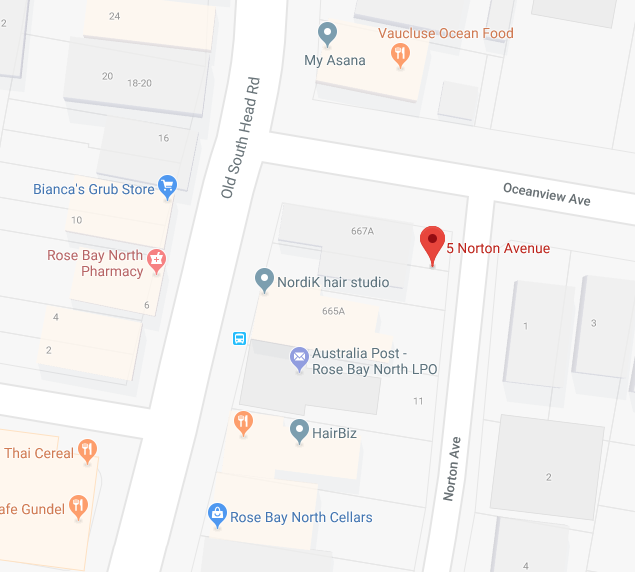 The red marker at "5 Norton Avenue" is the accurate location. Parking: Unlimited street parking is available in surrounding streets. Public Transport: Catch the 333, 387 or 380 Bus from Bondi Junction. The venue is a 1 minute walk from bus stop. Map.